An early look at all the new NBA jerseys designed by Nike for the 2017-18 season. By now, you’ve probably heard that the NBA’s jerseys for the 2017-18 season are in for some major changes. Nike has taken over the league’s uniform deal from Adidas, many teams have sponsors on their jerseys, and some franchises are ushering in bold new looks. As part of Nike’s revamp, teams will also no longer have home and away jerseys, but instead "Association" and "Icon" editions to choose from. There will be four different jerseys for each team, with the other two editions to be revealed in the fall. The Nike Swoosh will feature on the jerseys of every team except the Hornets, who will instead have the Jordan Brand Jumpman logo (given, of course, their ownership). Teams have been rolling out their new looks throughout the summer. Here are all the ones we’ve seen so far. Can't get enough of the new jerseys? Even more looks here! Paying homage to the game. The new threads are here. What do you think of the 2017-18 uniforms, #DubNation? 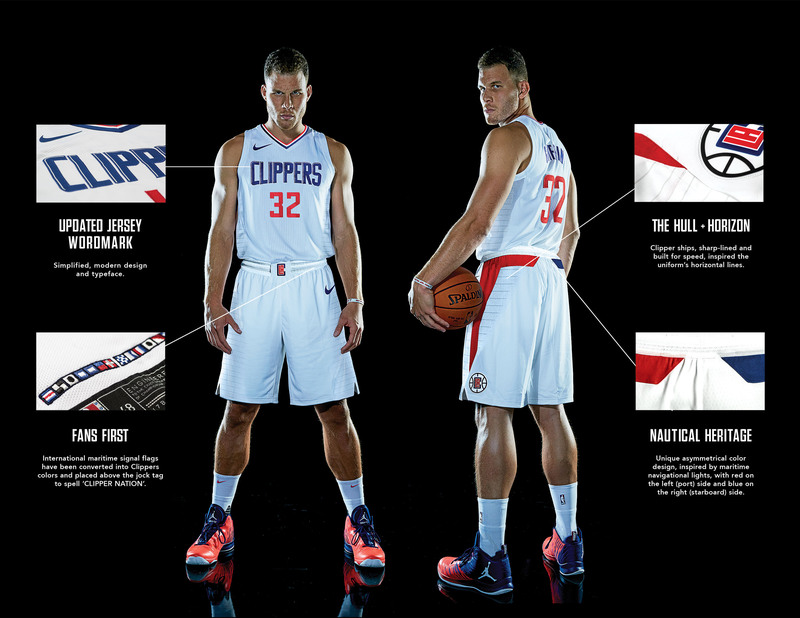 The jerseys will be seen in action for the first time on Sept. 30 when the NBA preseason kicks off.